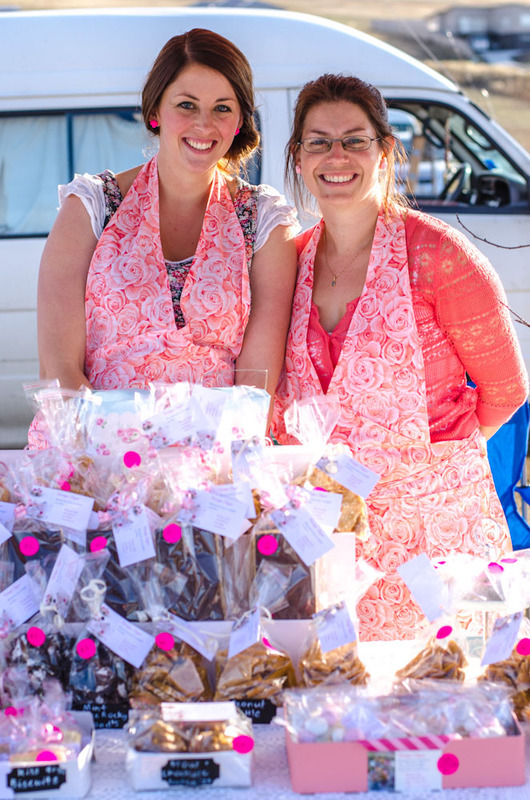 Vintage Sugar is the home-based catering business of Julie Bannister and Angela Walker. The business is in its second year and going well. We embrace seasonal flavours as well as your favourites, and specialise in old fashioned fancy biscuits, slices, cupcakes, macarons, confectionery and preserves. We are always excitedly experimenting with new flavours and products, and our confectionery line is continually growing and becoming more colourful and fun. We are looking forward to a new and brighter year in 2014 at Bream Creek Farmer’s Market. 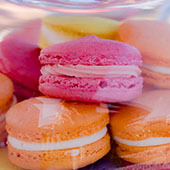 This weekend we will have a new vovo -lemon meringue, Tasmanian strawberry and walnut slice, fancy biscuits, including raspberry melting moments and montes, Tasmanian walnut brittle as well as the favourites-peanut, sesame, cashew; rocky roads, gluten free slices and a selection of kids novelty cookies and confectionery. Bream Creek is a very exciting and enjoyable market for us, we love the locals and are so impressed with the way the market is run. It is a pleasure to be a part of it! Thanks Julie and Angela, we love having you as part of our Market and can’t wait to try some of your new delights this Sunday! Thanks to Vintage Sugar for providing the images in this post.